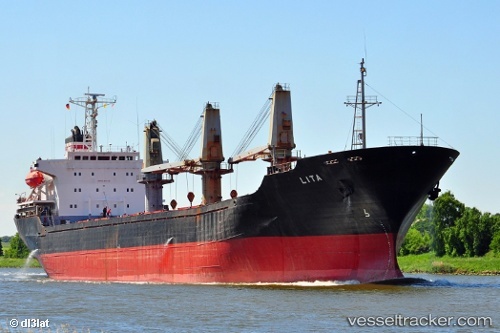 The "Lita" was detained in St. Petersburg on March 13, 2019, by the Ship Safety Center for 14 deficiencies. In restrictions of water consumption and the use of washing machines wree limited, the central heating out of order. The condition on the ship were described as pitiful in a way that the St- Petersburg Ship Safety Center detained this ship for fire doors that dod not work properly, radio communication problems, faulty electrical equipment, lacks regarding navigational safety, out-of-service rescue boats, wage problems, non-compliance with anti-pollution measures a.o. The ship was released on March 15 and sailed at 10.40 p.m., bound to Manaus, ETA Apr 6.